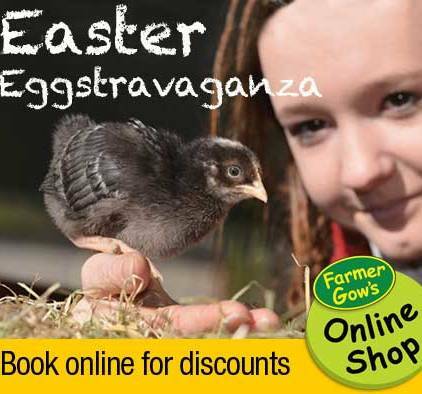 The Easter holidays are a wonderful time to visit the farm. 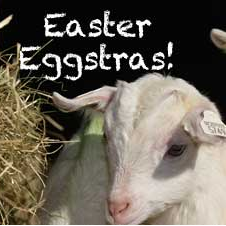 All day ~ adventure playground, giant Bale Climb, pedal tractors & Easter quizzes for the children with a small treat for every participating child. 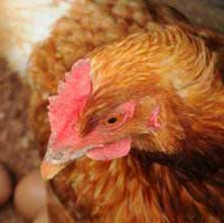 We look forward to welcoming you to Farmer Gow's soon. Tea room refreshments served all day. Picnics welcome. Farmer Gow's lies just outside Faringdon, off the A420 (Oxford-Swindon). An easy, main road drive from local towns and villages. Approximately 25 minutes drive from Oxford. Free car & coach parking. 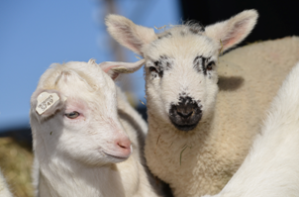 Day Tickets include all the farm animal handling and feeding experiences and use of the adventure play equipment. 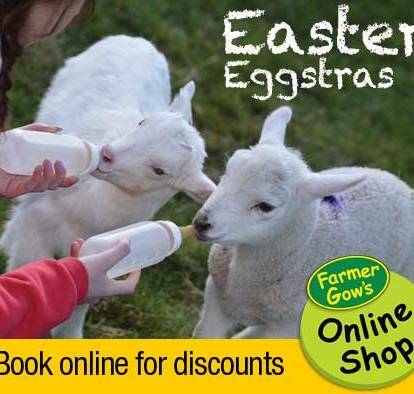 Farm shop, tea room, farm animal experiences, adventure play areas. Additional charges (£1.40pp) for trailer rides and treasure hunts. Bespoke programme and reserved seating area.